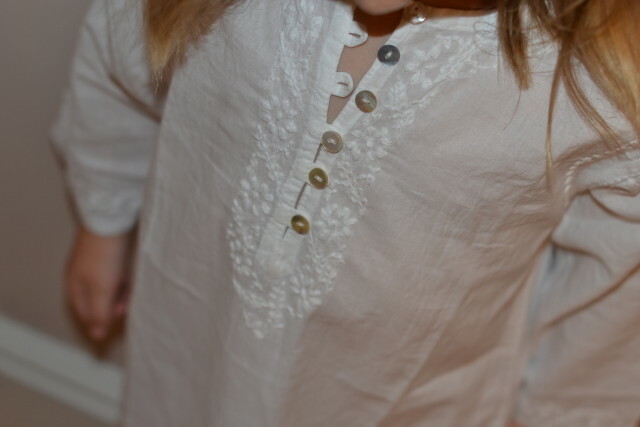 Tortue de Mer offer a beautiful collection of lightweight summer clothes, including kaftans, Indian tunics, sarouel trousers and harem pants. The range is handmade 100% cotton voile and perfect for Summer days either on holiday or lounging around at home. 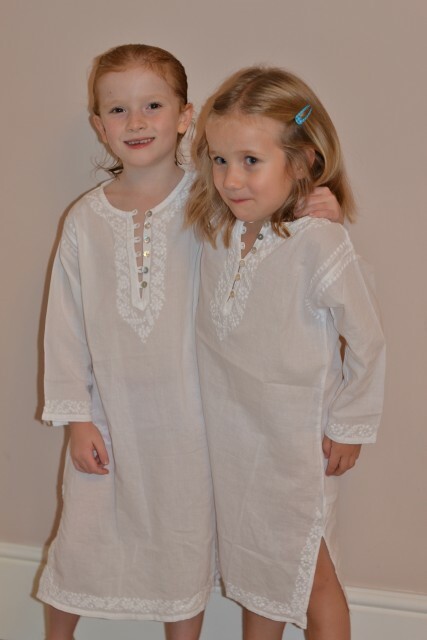 We love these gorgeous kids kaftans which are just perfect for use as a beach cover up as well as being super comfortable and easy to pack, wash and dry. I’m so pleased with the quality of these, they wash beautifully and the girls love wearing them. They also arrive beautifully packed, unfortunately my girls had them unpacked and tried on before I could get a good photo. The Tortue de Mer range is available in up to 25 colours, including cool pastels and more vibrant Summer colours. Prices start at just £15 so its surprisingly affordable too. The attention to detail is perfect, we adore the embroidered flowers on these kaftans, they are so pretty. I love that Tortue de Mer are committed to fair trade principles, working exclusively with small family businesses in emerging countries and are also passionate about the protection of sea turtles and support an injured turtle adoption programme. I find it very reassuring to be buying from a company with such great moral values. Sarouel & cotton trousers – these look smart enough to wear in the evening and cool and comfortable enough to wear on a hot Summer day. Prices from £12-£19. These long kaftans would be great as a beach cover up, I’d definitely consider buying some for our next holiday. I love this long dress for me, it looks really comfortable as well as smart and stylish, I’d also really like this bolero top which would be fantastic for holiday evenings. In May 2006, Isabelle Riaille, from the French Riviera was looking for soft lightweight tops for her baby Lola. She found very little available and what she did find was expensive and only available in blue for boys and pink for girls. Isabelle saw an opportunity and decided to create her own summerwear collection which was both affordable and in a multitude of colours. She called it Tortue de Mer (sea turtle in French) because sea turtles live where Isabelle loves spending her time – in the sea and on the beach relaxing with friends and family. We were sent the kaftans above for the purpose of this post.